Creekside Gospel Music Convention Welcomes The Hinson Family! Creekside GMC is getting ever closer and we have a lot of exciting news to share this month, so I will get right to it! First of all, just a reminder that Creekside tickets are free but must be reserved today. Please make your plans to join us in Pigeon Forge, Tennessee on November 2nd through 5th at the Smoky Mountain Convention Center. Check out the Creekside website and Facebook page for more information (links below). 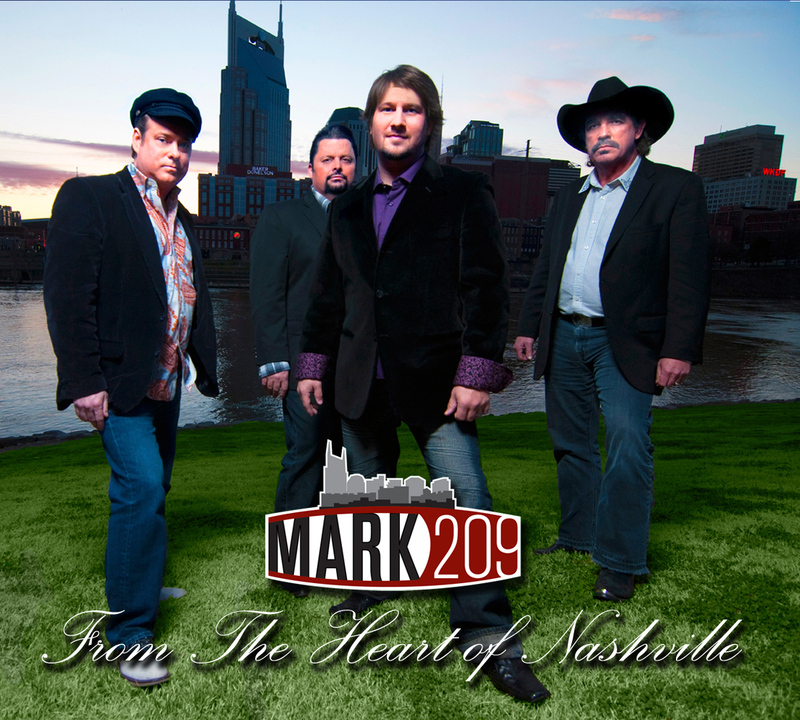 We have already announced that many of our Gospel music friends are returning, as well as some new artists. You know you will enjoy the music of The Freemans, the award-winning family group who are much loved by our Creekside audience. 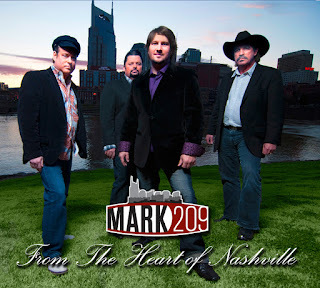 Other wonderful artists on the schedule include Mark209, the Pine Ridge Boys, Jordan’s Bridge, the Hoskins Family, 11th Hour, the Williamsons, the Guardians, and many more. 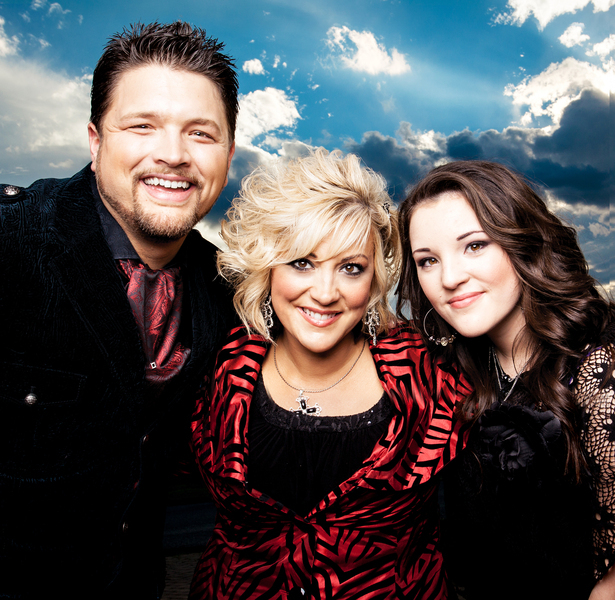 One of the newest artists to be added to the Creekside program are the Hinson Family! SGN Scoops introduced our readers to Weston, Christy and Jordan Hinson back in March of 2014, and their sound is being embraced across the country. With more than a hint of father Kenny Hinson’s unmistakable flavor, plus added touches of Bluegrass and Soul music, the Hinson Family’s music will touch your heart. Creekside Gospel Music Convention begins on Monday night with the Lou Hildreth Honors. Each year, Lou salutes a member of the Southern Gospel Music industry for their contributions to our music and our world. Stay tuned to this column to find out whom Lou will honor for 2015. Don’t miss it! Also on Monday night, Creekside Gospel Music Convention welcomes the return of one of last year's favorite events, Midnight Prayer. Fans and artists will gather together after the concerts before heading to sleep. The services feature prayer, music and fellowship. Everyone so enjoyed these services last year that Creekside is bringing them back in 2015! Tuesday we begin daily showcases that will fill the halls of the Smoky Mountain Convention Center with music around the clock. We are thrilled to announce that Tuesday and Thursday, Creekside presents concerts with your hosts Vonda Easley and Ava Kasich. These ladies will be bringing in special guest artists like Ascension Quartet, Alliance Quartet, Exodus, John Lanier, Malachi, Billy Hodges, and others. Wednesday’s showcase will feature the artists from Chapel Valley with your hosts, the Hyssongs. There are many more surprises to come. Check the website for more information. We are excited to welcome back WATC Channel 57, Atlanta, Georgia on Monday and Tuesday nights. They will join us to do a live taping of the evening concerts. Be sure you are present to participate in all of the events and then invite your friends to view WATC Channel 57 on the web at watc.tv/onlinestreaming/ at a date and time to be announced. Tuesday night we will present the 2015 Diamond Awards, hosted by Dr. Jerry Goff and Jan Buckner-Goff, with special appearances by Award nominees. You won’t want to miss this evening where we honor the best in Gospel music. The Diamond Award nominations are still continuing on the SGN Scoops website, so drop by to click on the link and vote for your favorites in The Diamond Awards Top Five - the final round of nominations. Make sure your voice is heard and vote today! Wednesday and Thursday nights we continue with great music and special guests, as well as the Red Back Hymnal Choir. If you like to hang out with your favorite artists, the Exhibit Hall will be filled with artist booths and group members waiting to chat with you. Keep watching our website and Facebook page for more exciting announcements. Don’t miss four days of great Gospel music, fellowship and fun. Tickets are free and accommodations need to be reserved today. Please call Rob Patz to talk about reserving your room today. This year we have VIP Packages, which include lodging, tickets and special events. VIP guests will be invited to a special backstage party as well. Creekside Gospel Music Convention 2015 rates start as low as $176 Per Person (Based On Double Occupancy.) Call Rob at 360-933-0741 to reserve your room today. Don’t miss this time of great Gospel music, fellowship and fun. Artists and attendees, please call Rob Patz for more information at 360-920-4057 or email him at rob@sgnscoops.com. Creekside Gospel Music Convention would like to hear from you! Tell us what you want to see and hear in November. Creekside also needs your help. If you would like to volunteer through various promotional activities throughout the year, or with onsite tasks during the convention, please email Rob at rob@sgnscoops.com. 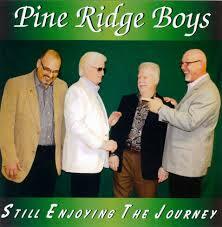 Creekside Gospel Music Convention is held at the Smoky Mountain Convention Center at the Smoky Mountain Resort. www.smokymountainconventioncenter.comwww.smokymountainconventioncenter.com. For more information, latest news and artists scheduled to appear, visit the Creekside website here creeksidegospelmusicconvention.comcreeksidegospelmusicconvention.com or our page on Facebook here: www.facebook.com/Creeksidegospelmusicconvention.